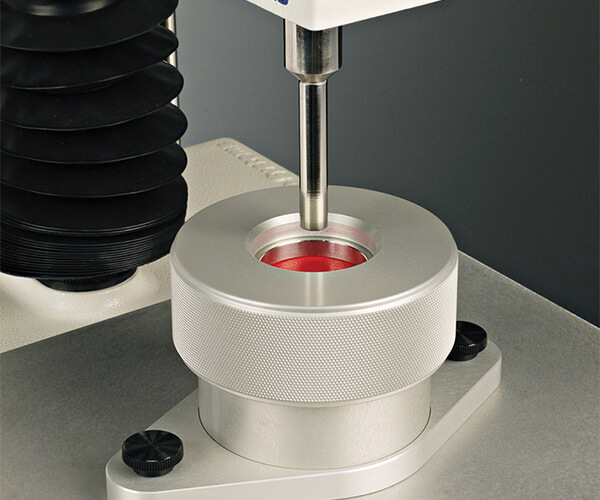 Let us show you a range of possibilities of how to measure the physical properties of materials with a texture analyser. 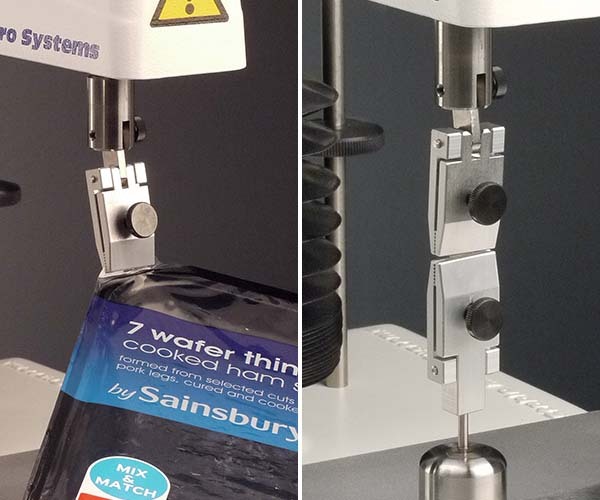 Materials testing is a wide-ranging field from the tension of a shoelace to the crush resistance of cardboard packaging, the actuation force of switches to the measurement of friction between two materials. At their most simplistic form, these tests all have one of two things in common – a test in either tension or compression. The TA.XTplus / TA.HDplus is an expert in all of these applications and many more, with ASTM Standard tests built into the software. High accuracy and reliability are the instrument’s forte, with forces of up to 750kgf and distance resolutions of half a micron available. Testing is easy and repeatable as test settings are automatically loaded and additional data such as audio and visual can be recorded to help with analysis, such as in the event of a fracture. 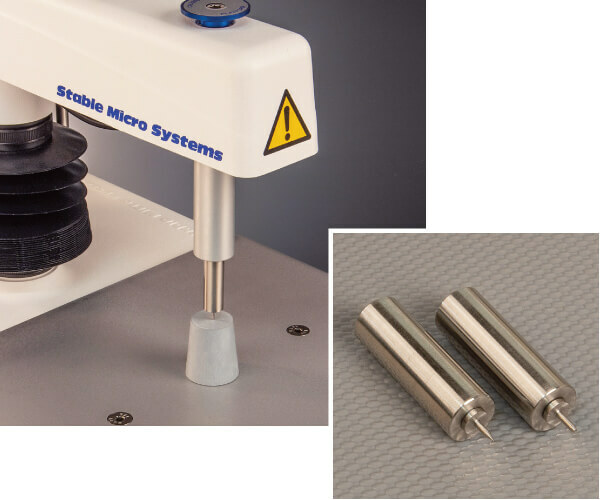 Perhaps most importantly, the recording of sample dimensions for stress and strain analysis could not be easier with the option of user prompts before each test or standardised measurements when samples are all uniform. No matter how desirable or valuable a product, if it fails physically, it may become unfit for purpose, impossible to handle and store, or even completely unusable and unsellable. Poor physical performance can not only damage the product but also the reputation and profitability of the company that supplied it. 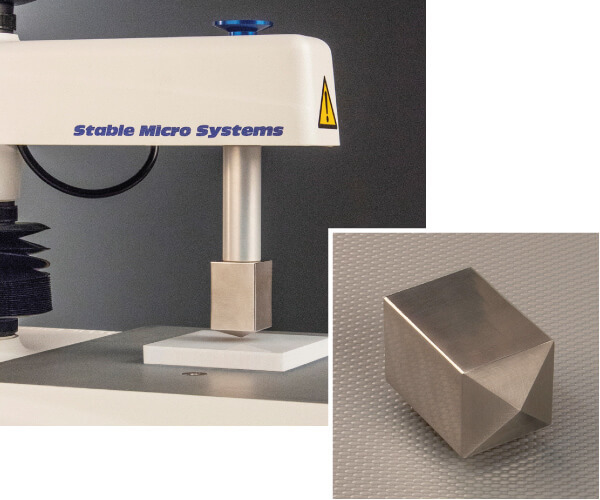 A wide range of MATERIALS test methods (including ASTM and ISO Standards) is built into Exponent Texture Analyser software and will automatically load at the click of a button. We help make your testing quicker to access and the analysis of your product properties already prepared for you. 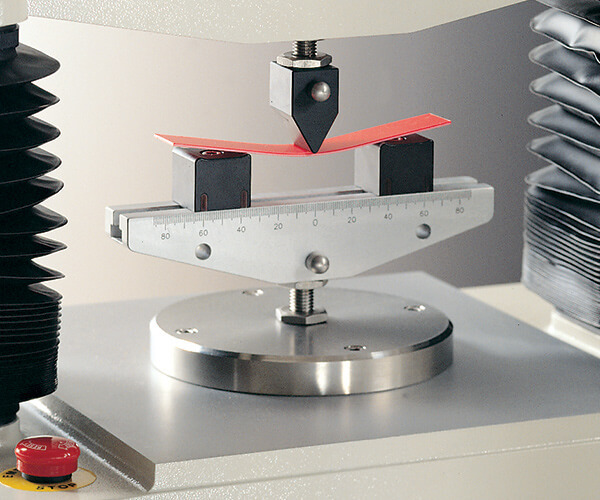 We are totally dedicated to optimising the physical property measurements of your materials. But don’t just take our word for it, read an example of what our customers have to say. 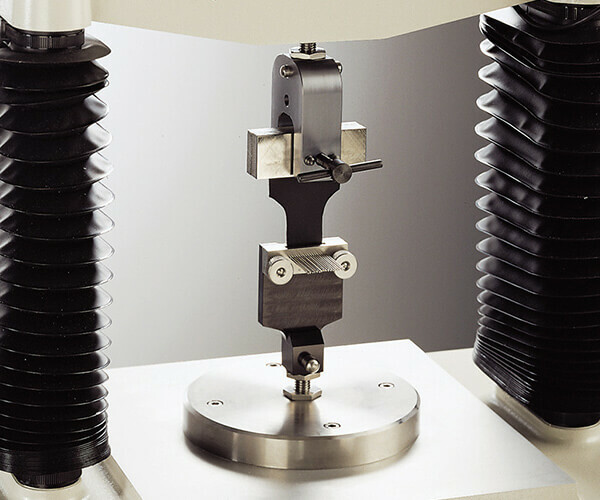 A selection of special attachments and typical measurements which are commonly used in this application area are shown, although this does not necessarily include the complete range available for the testing of materials. Test procedures include: compression, puncture / penetration, tension, fracture / bending, extrusion, cutting / shearing. The Coefficient of Sliding Friction Rig is used to assess packaging friction properties according to ASTM-D 1894-90. 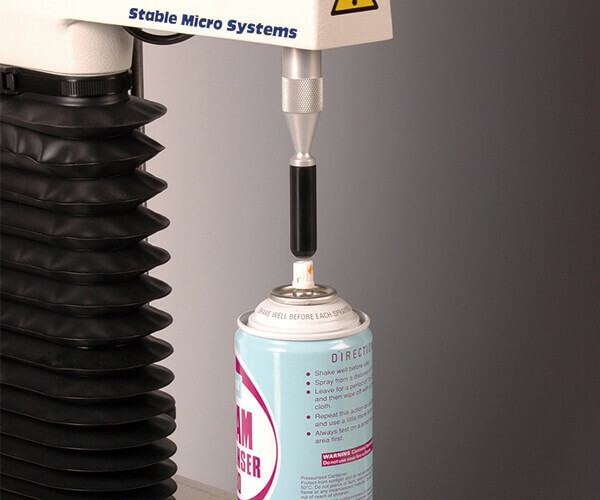 Simulates the action of a finger and measures the force required to release products such as hair fixatives from aerosols or soap/cream from dispensers. This rig reveals the break point, demonstrating hardness and brittleness or flexibility of numerous materials – metals, plastics and more. 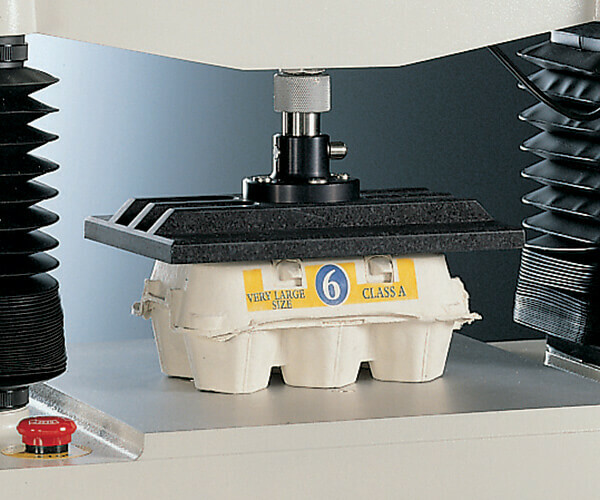 Compression Platens are used to assess packaging compressive strength, this egg carton being a typical example. 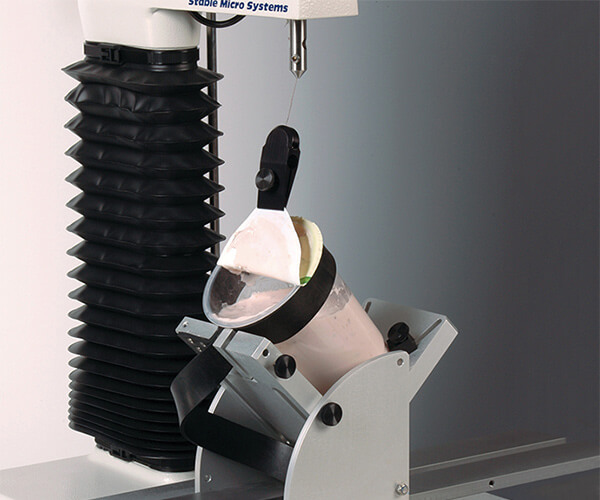 The Universal Peel Strength Rig allows measurement of the peel strength of containers up to 95mm diameter and 120mm height at three angles. 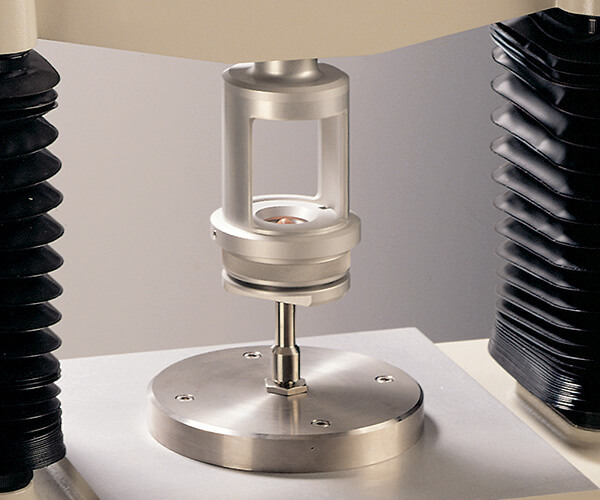 A full range of Tensile Grips can be used to measure tensile strength of all types of materials. 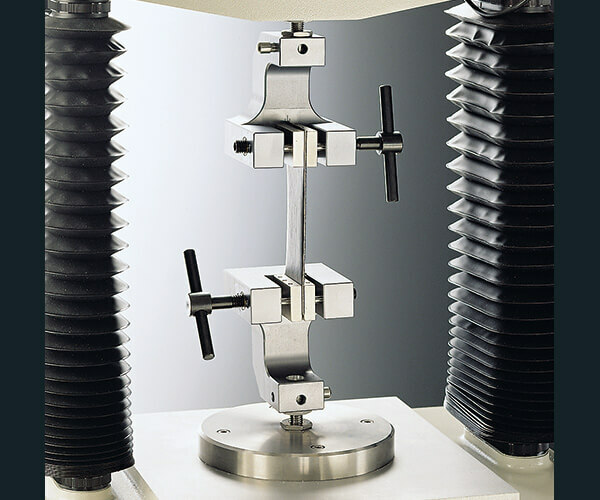 Gripping pressure can be controlled precisely, providing an alternative means of holding a sample for tensile testing. 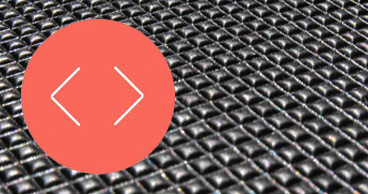 Analyses the frictional properties of various types of abrasive strips. 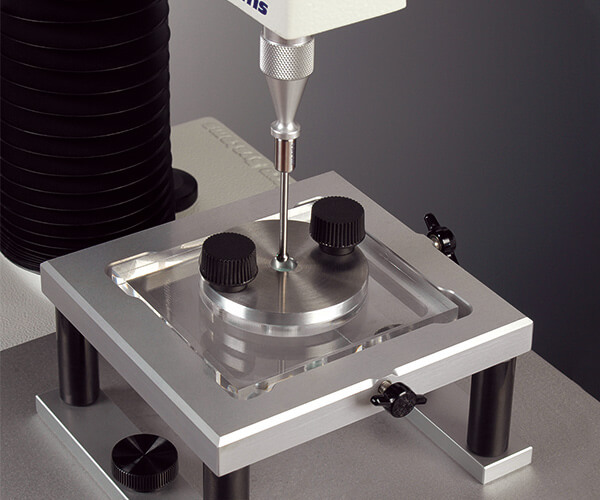 Shore durometers are used in conjunction with Shore refernce tables to determine indentation hardness of materials by using a measurement of resistance to deformation. 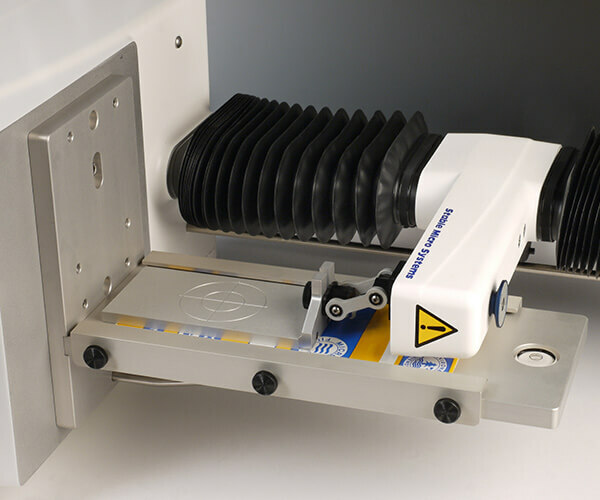 A selection of special attachments and typical measurements which are commonly used in this application area are shown, although this does not necessarily include the complete range available for the testing of packaging. Test procedures include: compression, puncture / penetration, tension, fracture / bending, extrusion, cutting / shearing. Used for the assessment of seal strength. 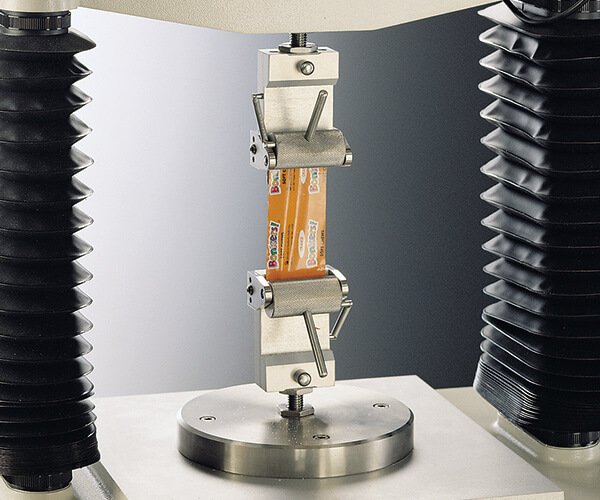 Can be used to measure tensile strength of packaging where slippage at the grip face may be a problem. Used to assess packaging friction properties. Used to assess packaging friction properties according to ASTM-D 1894-90. 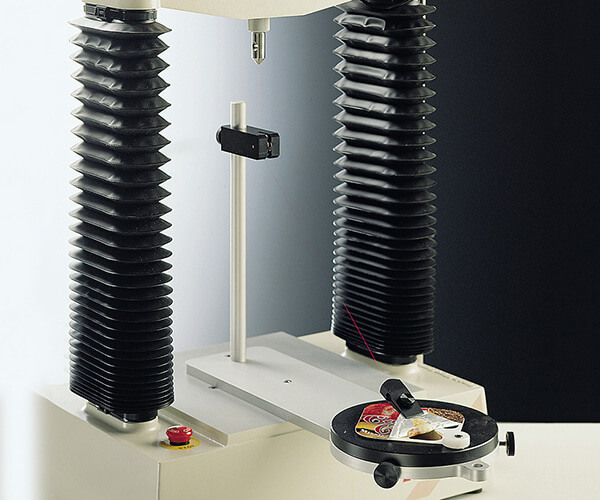 This rig allows testing of thin, film- like products to measure the burst strength, resilience and relaxation properties. Used to assess packaging compressive strength. Adjustable peel action measurement for e.g. yoghurt, ready meal packaging. It accommodates pots up to 120mm diameter. 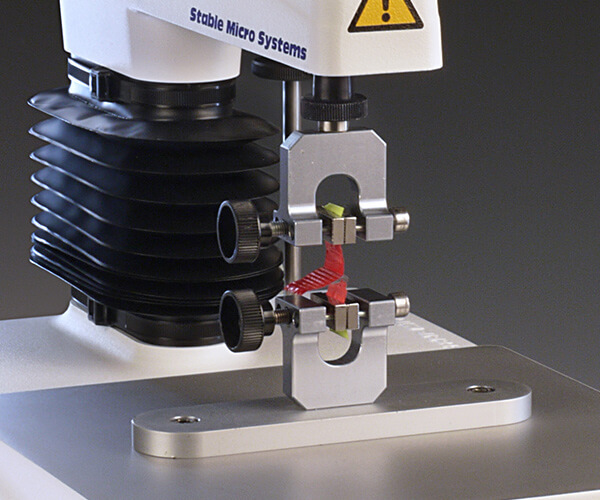 Allows measurement of the peel strength of e.g. yoghurt containers up to 95mm diameter and 120mm height at three angles. 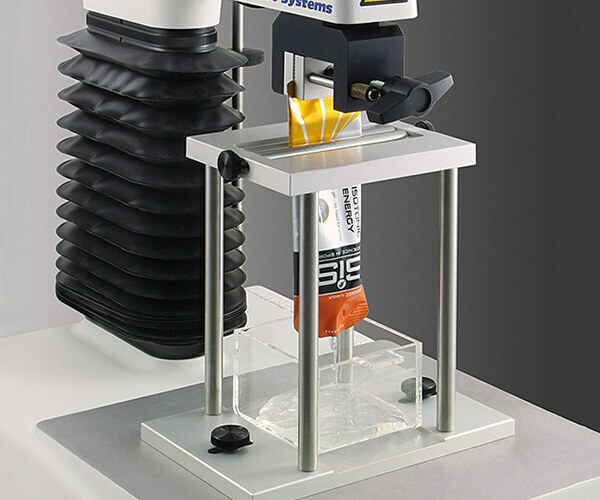 Allows manufacturers to measure the ease of removal and application of products such as sauces, pastes, creams and gels. 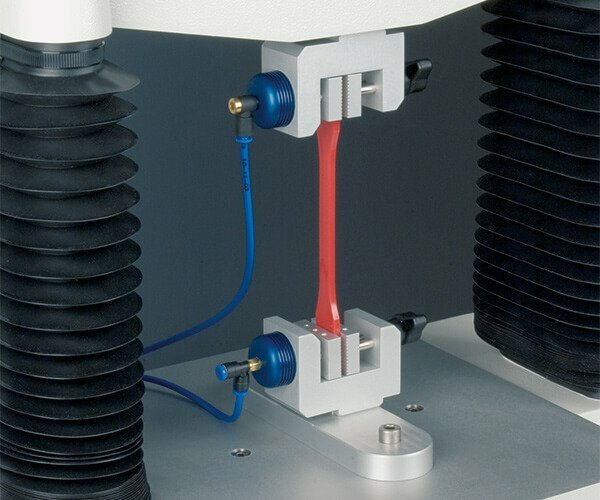 Allows the gripping of thin materials while also providing rotational flexibility. 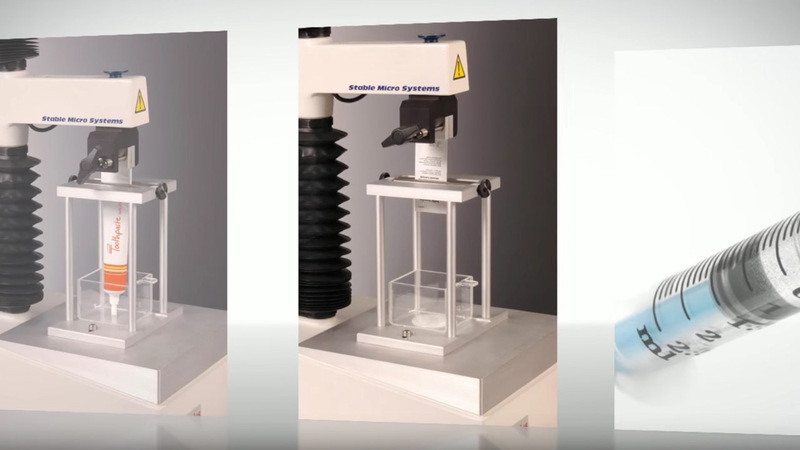 This simple imitative test enables the average extraction force as well as the maximum and minimum extraction forces to be determined. 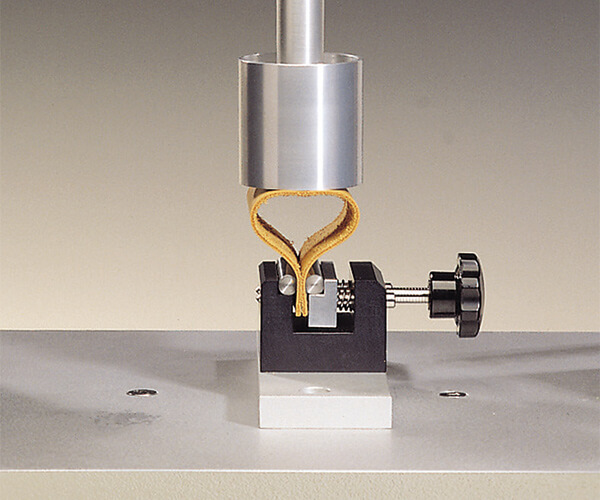 A selection of special attachments and typical measurements which are commonly used in this application area are shown, although this does not necessarily include the complete range available for the testing of leather. Test procedures include: compression, puncture / penetration, tension, fracture / bending, extrusion, cutting / shearing. This is also known as the 'Ball Burst Test' and identifies the strength and distension of the grain. 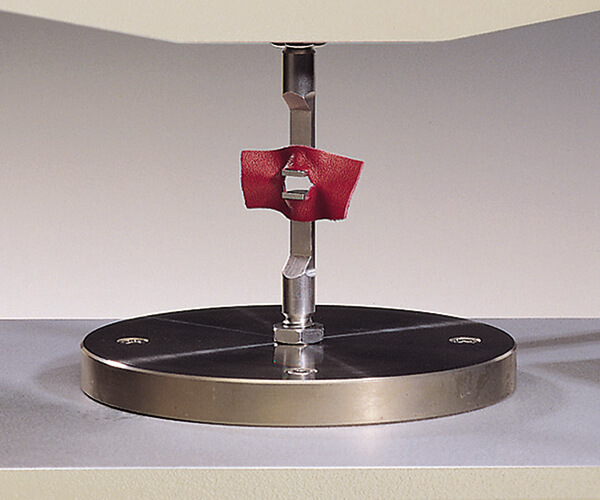 The slot tear test or Baumann Tear Test measures the force to tear a slotted sample apart at a constant speed. 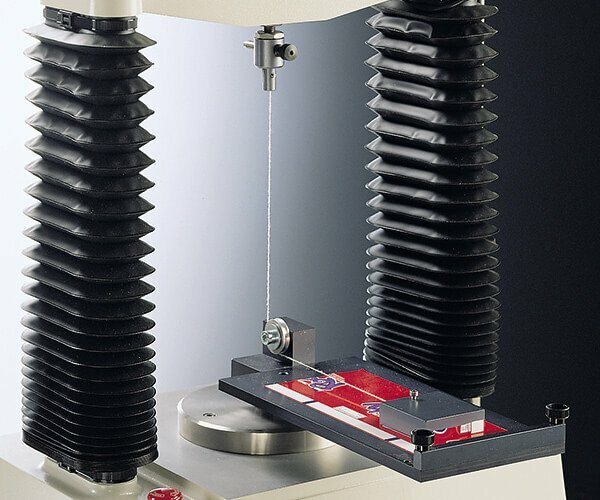 Used for measurement of the strength of upper or lining material at the stitch line of footwear originating from either a single or multiple holes in the sample. 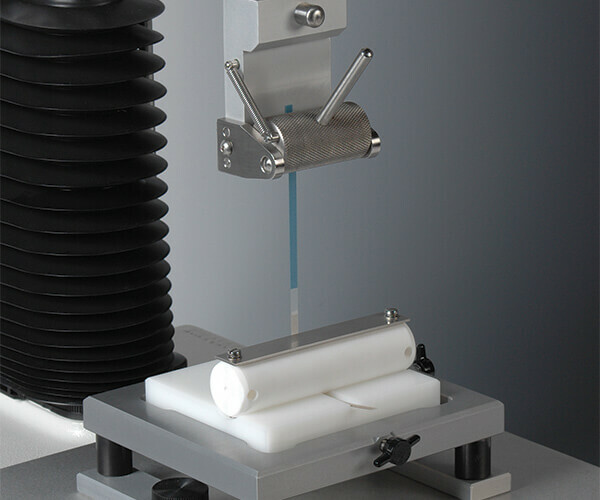 This rig meets the CEN Standard for determining the bagginess of leather together with its creep and stress relaxation properties after repeated loading. 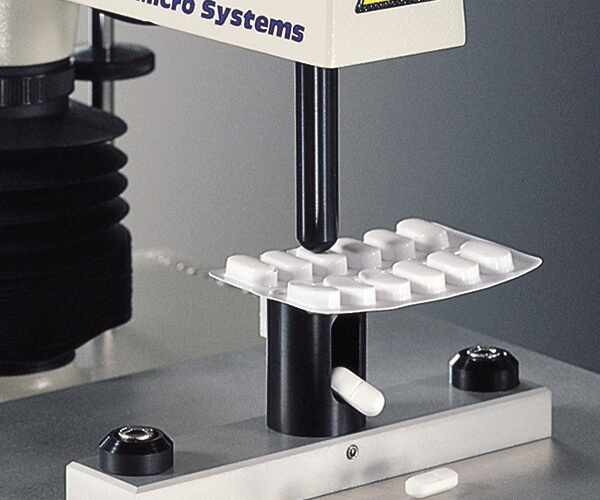 Quantifies the stiffness or flexibility of a sample before and after repetitive testing. 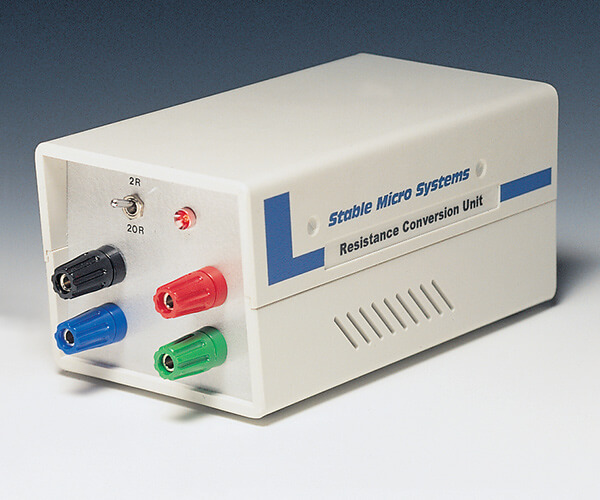 In conjunction with the TA.XTplus / TA.HDplus Texture Analyser's multi-channel data acquisition capability, this unit enables the characterisation of electro-mechanical products by measuring and analysing force-distance and resistance-distance characteristics co-incidentally.